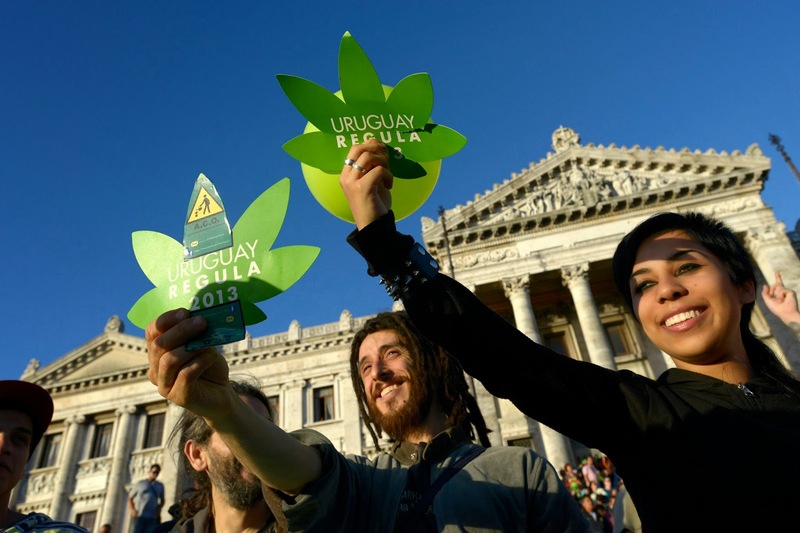 In a historic turn of events, Uruguay becomes the first country to legalize the growing, sale and smoking of marijuana. This should be a good example for other countries to take cue from and reform the oppressive laws surrounding the sacred herb, Cannabis. A government sponsored bill approved by 16-13 votes in the Senate provides for regulation of the cultivation, distribution and consumption of Cannabis and is aimed at wresting the business from criminals in the small South American nation. Registered Cannabis users over the age of 18 will be able to buy a maximum of 40 grams (1.4 ounces) each month from licensed pharmacies in Uruguay. A Government database shall monitor their monthly purchases. The new law is supposed to be implemented by April 2014 allowing Uruguayans to grow six Cannabis plants in their homes a year, or as much as 480 grams (about 17 ounces), and form smoking clubs of 15 to 45 members that can grow up to 99 plants per year. "We begin a new experience in April. It involves a big cultural change that focuses on public health and the fight against drug trafficking," Uruguay's first lady, Senator Lucía Topolansky, told Reuters. The states of Colorado and Washington in America legalized the recreational use of Marijuana recently after people voted in favor of the bill. Portugal decriminalized the possession of drugs for personal use (limited quantities for personal use for 10 days is non punishable) back in 2001 which has helped control the drug problem in a big way. In Spain, small scale cultivation of cannabis plants for personal use is tolerated by the authorities and there are many grow shops across that country selling their products both physically and online which has helped boost their economy. As Joe Rogan says, "It's always a little strange when you make nature illegal".